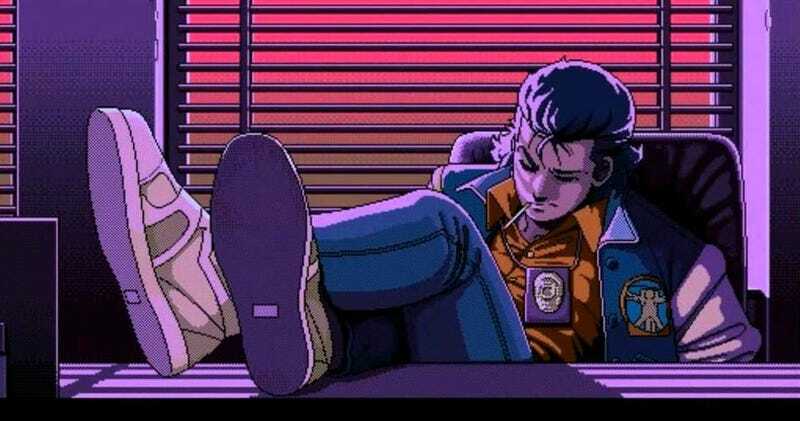 In 2009, a team of fans released an English translation for cult Hideo Kojima joint Policenauts, which was never officially released in the West. Now, in 2016, fans have released an English language translation for the superior Sega Saturn version of the game. See, the original translation was for the PS1 version, which is fine, but the Saturn version is normally regarded as being a little bit better, since it had some extra content, as well as arguably better pixel art. So if you haven’t yet tried the game via the PS1 translation, now’s a good time to maybe check it out. It’s a bit of an old-fashioned adventure game, but the art is incredible, and Kojima’s story-telling—which can get away from him in Metal Gear games—is more at ease in a genre that’s almost nothing but writing. You can get the patch (or at least check out the notes) here. Note that this obviously only covers written translation; audio files remain in the original Japanese.